Peter van Uhm is the Netherlands’ chief of defense, but that does not mean he is pro-war. In this talk, he explains how his career is one shaped by a love of peace, not a desire for bloodshed — and why we need armies if we want peace. General Petrus J.M. “Peter” van Uhm is a four-star general in the Royal Netherlands Army and the former Chief of the Netherlands Defence Staff. 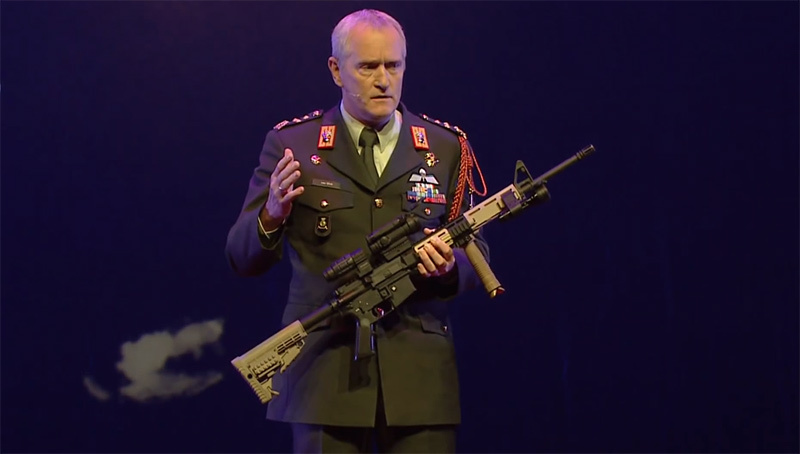 He has had an outstanding career over four decades [forty years] in the Dutch military. In the Netherlands, he is know from his personal tragedy [(terrible personal event)]. On 18 April 2008, one day after Van Uhm was appointed [selected] Chief Defence Staff, his son First Lieutenant Dennis van Uhm was killed in a roadside bombing in Uruzgan. Van Uhm’s incredibly dignified [gave/given respect to] and human response has astounded [shocked (into silence)] many. Madrid Language Educators and Coaches group.